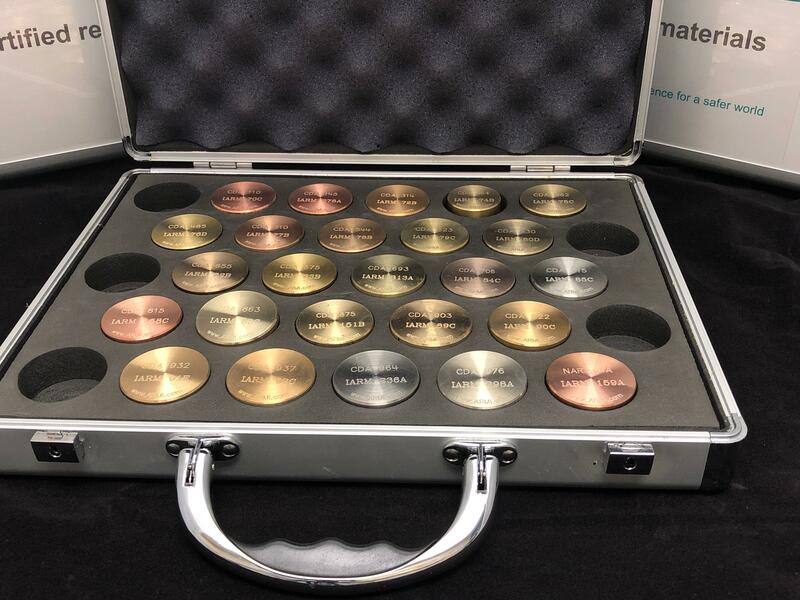 The copper base set includes 25 of the most common copper based alloys and is ideal for calibrating your instrument, as type standards or for Positive Material Identification (PMI) grade matching. This set is available as thin discs for XRF, thick discs for optical emission or as chips for analysis by ICP. The specific alloy grades included in the set are shown below, but substitutions are possible. This set can be combined with the other matrix specific alloy sets for form a comprehensive 100 piece master alloy set.